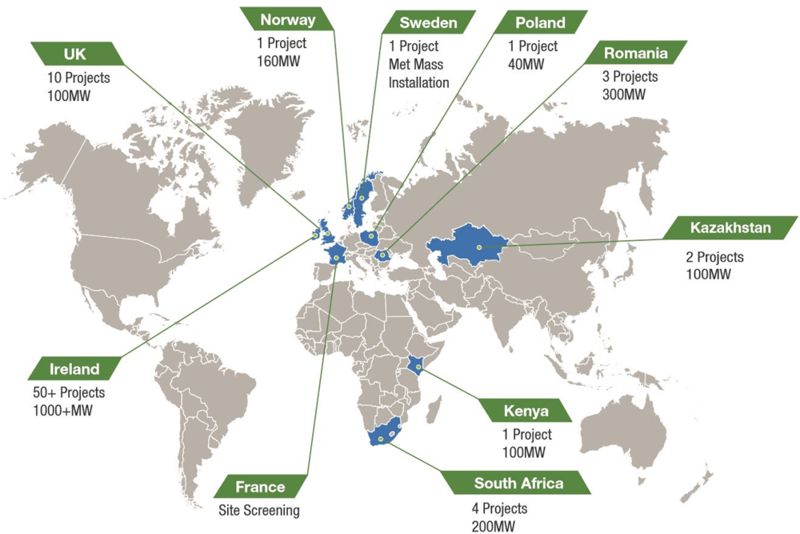 We have a strong and growing international client base from independent single turbine project developers to large utility players. We have advised internationally on over 2GW of project feasibility and grid studies, prepared and managed planning applications for over 350MW of wind and solar developments, project managed and provided engineering services to over 250MW of construction projects and current manage over 180MW of operational wind farms. 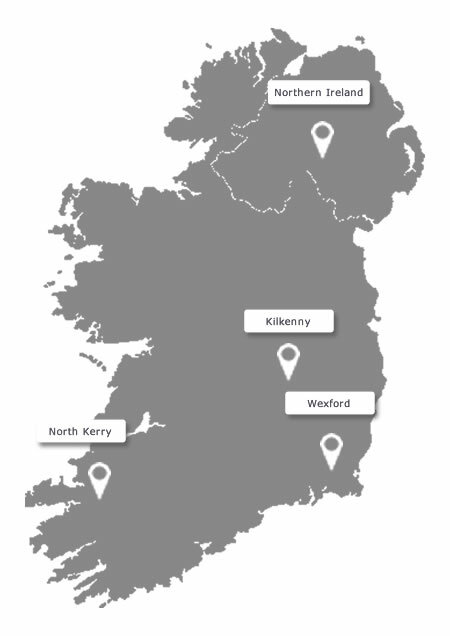 The map below shows a selection of recent projects where we've provided support. Location: Kipeto, Kajiado region, Kenya. Service: Galetech Energy Services provided project development support including site design optimisation, wind resource monitoring and assessment, noise and flicker assessment, PPA negotiation and preconstruction owners engineer services for 100MW wind farm development. Service: Galetech Energy Services provided advice on project construction costing analysis of a permitted wind farm in Northern Sweden. The project was situated on peat site which presented specific risks in terms of working methods and mitigation measures which needed to be addressed in the assessment. Service: Galetech Energy Services supplied and installed met mast for power curve testing purposes at Gothenburg harbour. Service: Development project technical, legal and commercial due diligence on behalf of prospective purchaser. Service: Galetech Energy Services supplied project development support including site layout optimisation, site access studies, project photomontages and preconstruction tender process management.